With summer approaching, it’s always time to try something new. With that in mind, I thought it would be great to get more local content on JustDriveThere, notably exploring Canadian car culture, and how the American driving dream has evolved throughout the years. In order to better study this topic, I’d like to introduce our first contributor, Michael, who will start his new series, “The Driver’s Edge”. And to begin, he’s going to ask, what happened to Lincoln? I was going to write to the president of the Lincoln Division, but I understand that he answers to you. I worked as a chauffeur to high ranking politicians and diplomats for seven years. I’ve always been a fan of the Continental. I recently saw photos of the 2017 model and was taken aback. 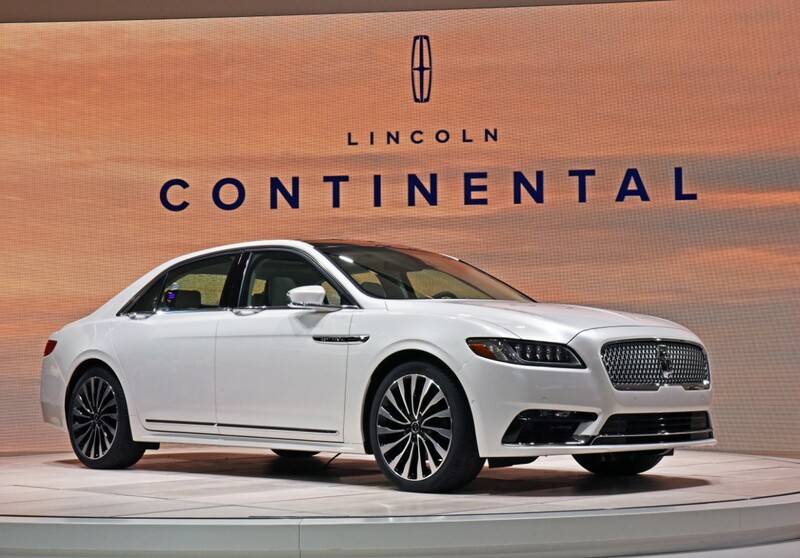 Does a car named “Lincoln Continental” need to compete with other makes? The folks who designed the latest installment seemed to have been concerned solely about the competition. I had respect for Ford because they didn’t show up in Washington, DC hat-in-hand begging for taxpayer’s money. Maybe they should have and then invested that money in the Lincoln division. Or instead of buying Jaguar and other manufacturers, they could have spent that money on Lincoln. Ford got it right with the Mustang. An acquaintance of mine owns a Mustang GT with the supercharger developing well above 600hp. It’s a superb machine. I shudder to think what you will come up with for the Mark series, if you decide to revive it. It’s bad enough that you prettied up an F150 and called it a Mark LT, which was an insult to my car and to my truck. I can say it because I own an F150 and a Mark VIII. Dealers were trying to give them away when I took a Mark (not Mack) truck for a test drive. Even the words Mark truck sound awful. Obviously, the Blackwood experiment was lost on the Lincoln folks. And what gives with a manufacturer deciding to name their cars; MKC, S, T, X, Y, Z? They started lettering and numbering in Europe years ago. You and other manufacturers are doing what everybody else is doing; A8, CT6, XJ, 750i, to name a few just in that particular and already crowded segment you want the Continental to join. Although I must admit, the Jag’s rear end is alluring. In all fairness, you resurrected the Zephyr, and then called it an MKZ. 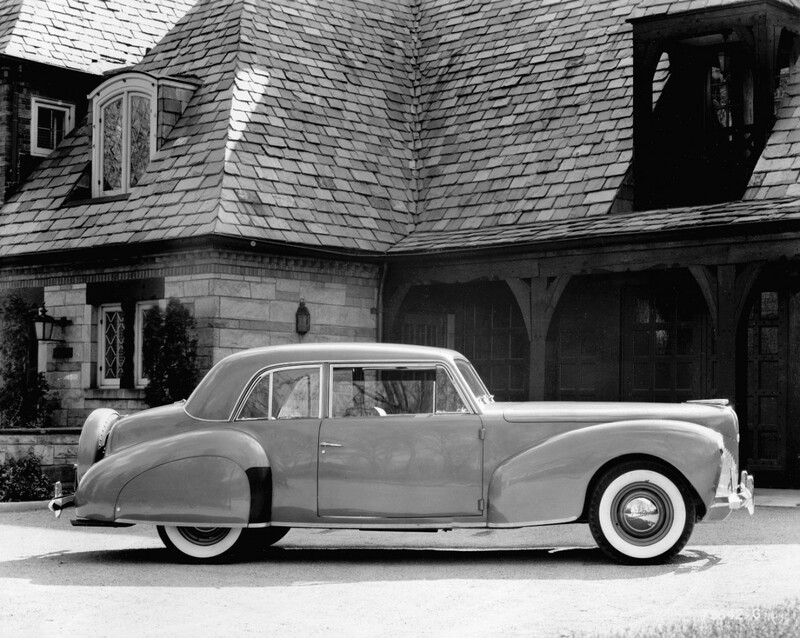 It didn’t come close to a pale imitation of the 12 cylinder car of the early 30s and predecessor to the Continental. You could have installed a V12 in the new Zephyr and put one over the XLR. You tried to sell the Lincoln LS when LS was already around (? ) by Lexus. It may be time to do job assessments for the staff in the department that exists just to name, badge and rebrand cars. “LS6 Luxury Sedan 6-cylinder” and “LS8”. Doesn’t quite say “come and buy me”. And are not people always asking what the lettering means? 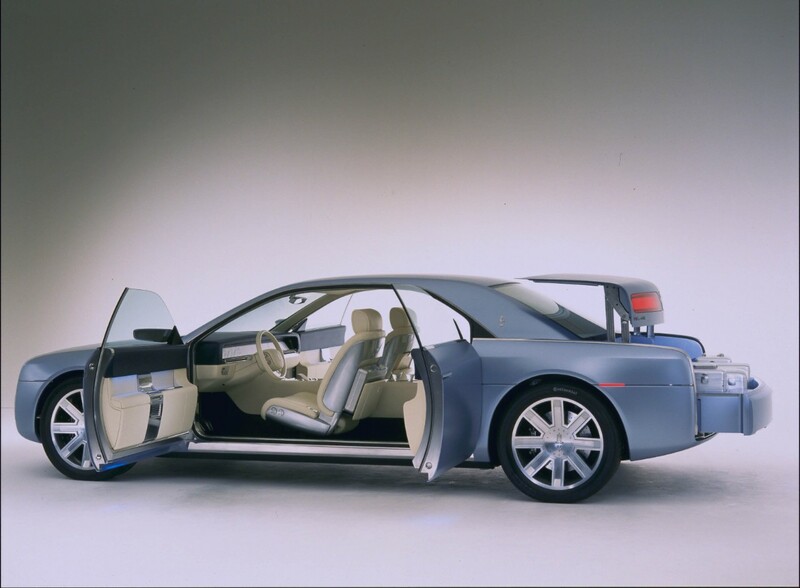 Lexus complained and Lincoln dropped the LS, or was it because sales were poor? You should have complained when Chrysler came out with the LeBaron. Better yet, when Bentley came out with the Continental model name in 1952, you could have been all over them since Lincoln came out with the first Continental in 1939. 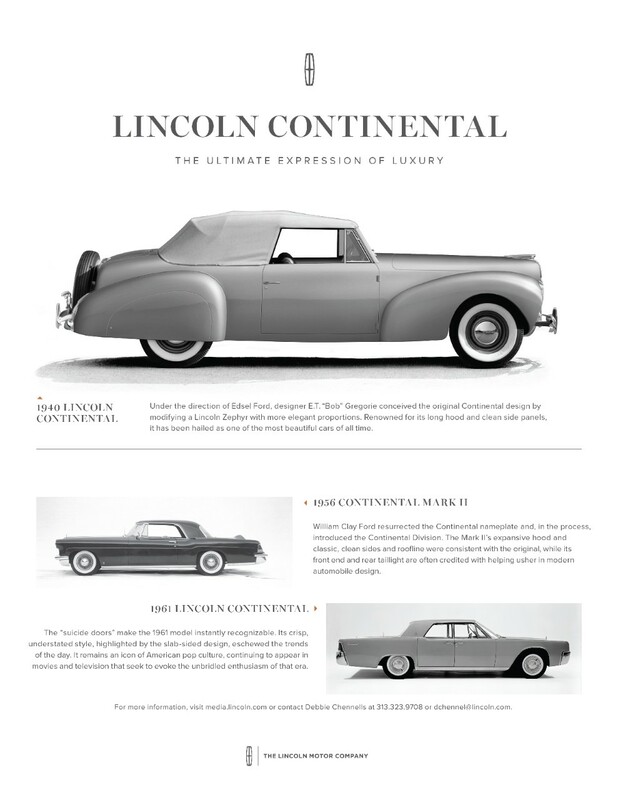 Alas, and to think that Continental had its own division in 56-57 separate from Lincoln. But I digress with the name calling. 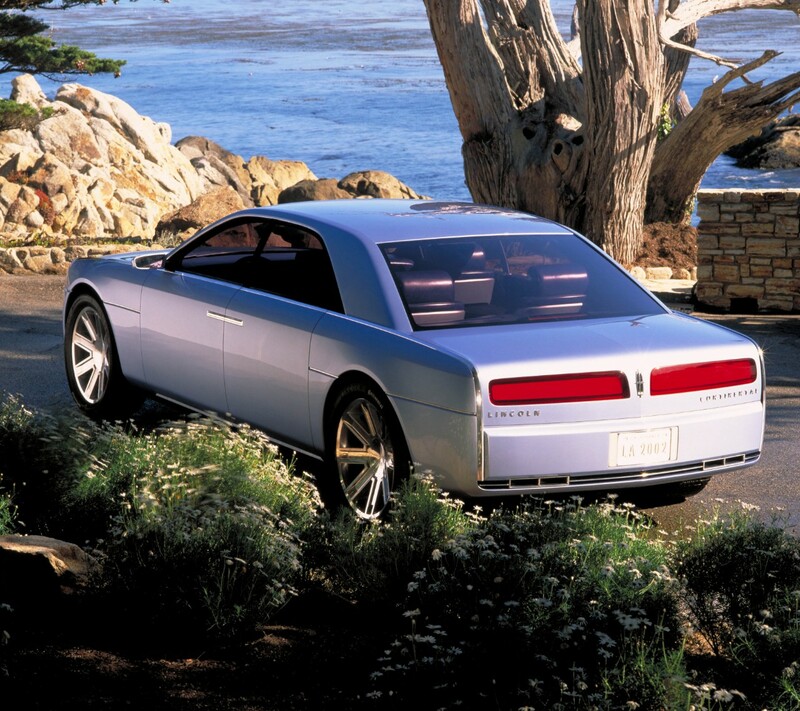 The 2002 Lincoln Continental concept was on the money and your company should have sold that car back then. It had clean lines. It was sleek. Less is more. And you would have been ahead of the Seville. Sorry, the STS. Now, you kick a curb and a bunch of Cadillacs jump out. Mind you, I’m not complaining. My daily driver is the 1997 Mark VIII Luxury Sports Coupe and I never see another one around. Despite some annoying engineering/design flaws for a car that cost some $43,000 nineteen years ago, I maintain it, air-ride and all, and I love it. There isn’t one week that goes by that someone doesn’t compliment me on my Mark VIII. Some guys who drive German cars even look at my Mark with admiration. Anyways, back to the Continental. Having the front grill made up of small rectangles, like the one housing the Lincoln star, still makes it look too similar to the Jaguar, Kia, and former tank builder, ‘Borgward’ SUV. And the whole grill housing is similar to that of an old XJ6. Still, it looks better than the face guard of a medieval helmet you have on some other models. The design team has a hard time with grills and bumper skirts. They need first and foremost to believe in the Continental name and what that name really means. That’s where it should have started, and not make the car some mishmash of other models in the Ford and the competition’s line up. Jeez, Louise. 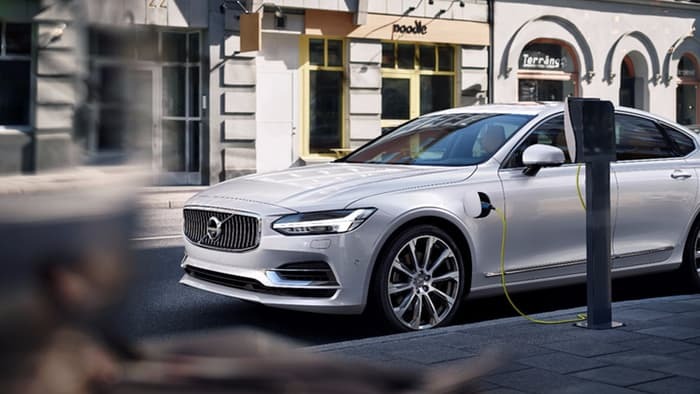 The new Continental looks like a Volvo Electric. What came first? The Lincoln or the Volvo? Matthew has sold a lot of Lincolns, so good on him and your marketing team. I can call him Matthew because he doesn’t know me from a hole in the ground. He is young enough, he’s hip or whatever you want to call him, but the 2017 Continental is not targeting the hip crowd. Is the Continental to mainly be chauffeur-driven? Will the advertising campaign carry over with him at the wheel, unless he’s the passenger? Pull over at McD, McC. I don’t see it. A chauffeur-driven luxury sedan that looks more like an aggressive 4-door sports sedan? Remember the new Coke? Why not bring back the Town Car? It had a name and made you money as the chauffeur driven car of choice. Spinning those wheels on the Continental concept could hypnotize execs into buying the 2017 model, I suppose. You consulted executives. How many? Did you consult chauffeurs? Backseat massage, sir? Yes, please. I know, it’s too late to change the Continental design with all that money invested. The bottom line is where it’s at. Ya-di-ya. No, I say. The approach should be: A Continental is a Continental and let’s sell it to the world; not just America and China. The competition; well who cares? It’s not like the German manufacturers are shaking in their tires. It feels like Lincoln has been trying to find itself for many years and is still looking. What the new Continental needs is its soul, like the early 60s models. Like the 1962 model in that ill-fated day in Dallas. The 65 Continental in the film “The Matrix” had a soul, and it was chauffeur driven. You can’t mistake a Cadillac for anything else. You can’t mistake a Mustang for anything else, and we shouldn’t mistake a Continental for any other car. I’m still hopeful that you will decide to revive the Mark line and market the IX model. And one that can outshine my Mark VIII with more than just the paint. Mark IX in 2019. I like the sound of that. We need a push back against the crossovers, station wagons, er. Estate wagons, utility, vans, trucks, etc. All that being said, Mr. Fields, I wish Ford and Lincoln the very best. P.S. Am I entitled to an opinion on Ford, Lincoln and Mercury? You bet. 1997 Lincoln Mark VIII LSC (current) most new cars keep shrinking and look the same. 2001 Ford F150 XL 7700 4X4 (current) with full size bed, which you don’t see any more. 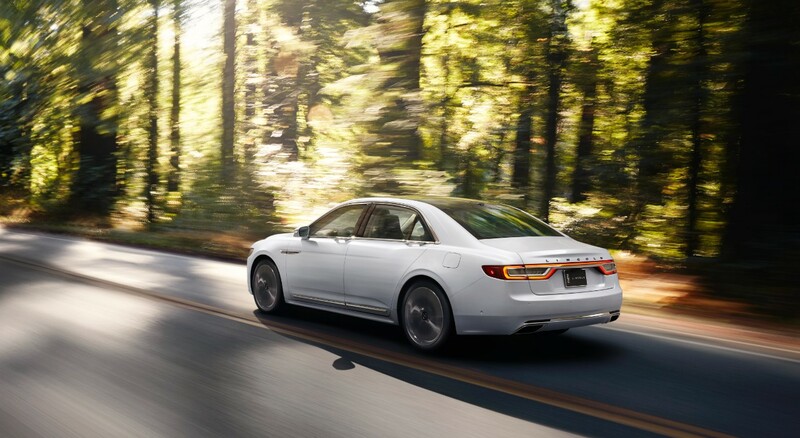 This entry was posted in Auto Industry, The Driver's Edge and tagged 2017 Lincoln Continental, classic, concept, driver's edge, Ford, lincoln, mark fields, mkc, mustang, town car. Bookmark the permalink.